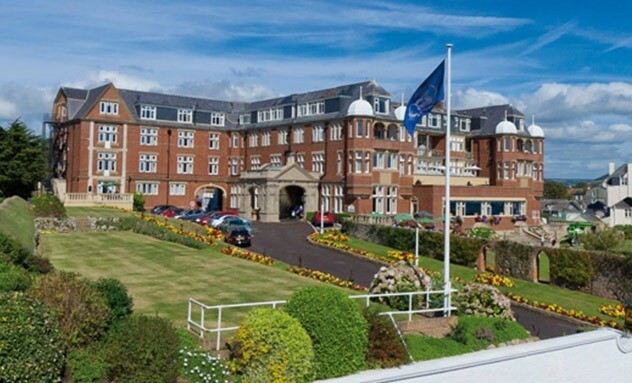 With outstanding views of Lyme Bay, The Victoria Hotel is a gem - a luxury hotel which sets new standards in 4 star hotel accommodation. The Victoria is the perfect base for exploring the timeless charm of Sidmouth, a picturesque Regency town. With a reputation as one of England�s very finest hotels, The Victoria Hotel epitomises traditional values of attentive service, superb comfort and sumptuous cuisine. Discover ultimate luxury, whether you are looking for a short break, an idyllic family holiday, a romantic escape or a great venue to celebrate a special occasion. Quite frankly, the best hotel I've stayed in. Perfect location, a stones throw from the sea front at Sidmouth and the other attractions of the town. Superb, friendly service and great food. Wonderful old world charm all around and clean, well-appointed rooms.